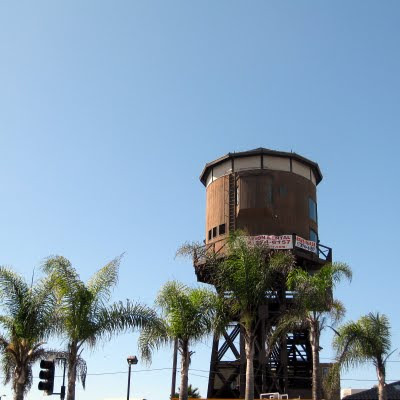 This water tower is available for lease in Sunset Beach. It's near a biker watering hole, Turks. (At least back in the day, that's what it was.) 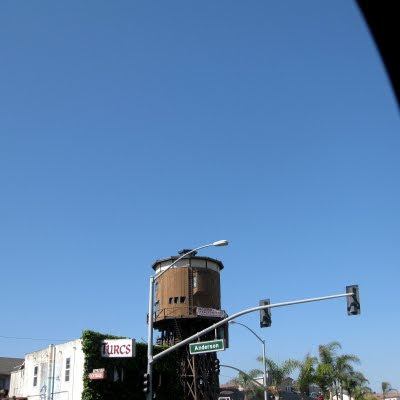 One block from PCH and two blocks from the beach, what could be better. The view from the windows must be great, but the stairs might be a killer, coming home from Turks. I think I'll pass on the stairs, I'm sure it's a stunning view. If you want to wander down my road I’m home.